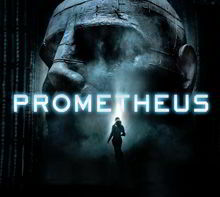 Prometheus is the first prequel to the Alien franchise of movies. The movie is set 37 years before the events of Alien and follows a number of scientists as they travel to a planet hoping to discover the origins of humankind after finding ancient pictograms across a number of civilisations on earth depicting a chart of where the planet can be found. Here you'll find all of our official Prometheus t-shirts!